I was totally pleased that it was quite a bit less than the estimated amount. I called 3 different movers to help me move my piano. One quoted less than North Bay Movers, and one quoted more than North Bay Movers. One said it would take 4 men and one said it would take two men. I called North Bay Movers and they said three men. North Bay Movers answered the phone personally and more importantly they took the time to explain the ins and outs of moving my piano. They said they would charge only what the actual move would take time wise. They had an incredible one hour minimum and proceeded to tell me they would fit me in to a tight schedule. The North Bay Movers Piano Moving team showed up and were very nice, genial, and polite. They worked quickly and efficiently. When it came time to pay the bill I was worried it would be over my very tight budget. 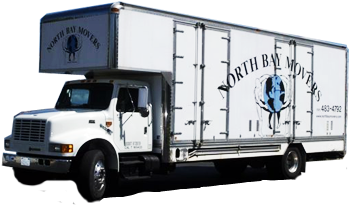 North Bay Movers is exactly what I am looking for in a Business that I would allow into my home.